An educational resource for those interested in refractive surgery, and other eye care issues, brought to you by EyeCare 20/20 and Cary M. Silverman, MD. Curt Tomasevicz, a member of the 09 World Championship 4-man Bobsled Team made the trip down to EyeCare 20/20 this month for his LASIK surgery. Curt began the sport of bobsled in 2004. Just two years later, he placed sixth in 4-man with driver Steven Holcomb at the 2006 Olympic Winter Games in Torino, Italy. In 2007, Tomasevicz won a World Cup gold medal with Holcomb in 2-man on the same Olympic track. 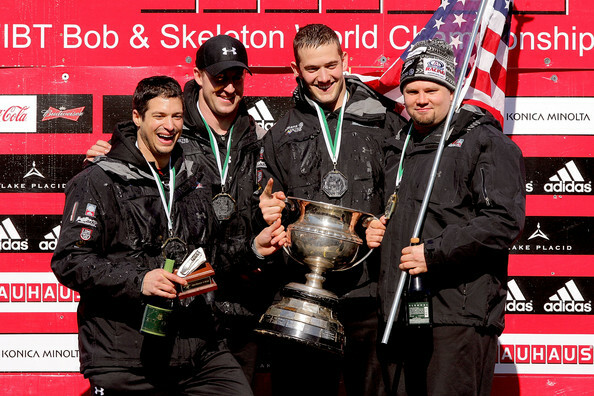 During the first half of the 2008-2009 season, he has pushed Holcomb to silver and bronze World Cup medals in 4-man and a gold medal at the 2009 4-man National Championships. He recently won a silver medal with Holcomb at the inaugural World Cup race in Whistler, Canada, site of the 2010 Olympic Games. The season culminated with the 4- man world championship win. It was an amazing feeling as I sat up and for the first time since the third grade, I could read the clock on the other side of the room without the aid of my glasses or contacts. I'm thankful for the life-changing procedure performed by Dr. Silverman and his staff. I hated the discomfort of my glasses and I hated having to rely on my contacts, especially in a sport where perfect vision is vital. The entire Eyecare 20/20 staff was incredibly kind and friendly. The procedure was explained thoroughly and all my questions were answered clearly. I experienced very minimal discomfort and zero side effects. My vision is now as good as I would have ever dreamed. Thanks 20/20! Kurt is anxiously looking forward to testing his new eyes out this upcoming season. Hopefully a Gold Medal at the 2010 Olympics in Vancouver will shine in his future! good! its nice sharing.i think lasik eye surgery really useful for sportsmen..thanks how to find best eye doctor? here i found some tips from lasik eye surgery Oakland check this video..